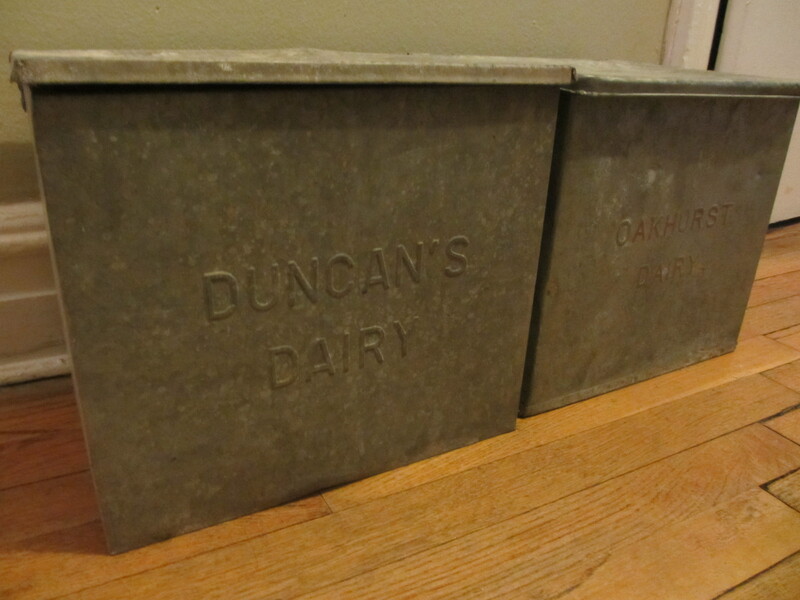 Cleaning supplies, pet food, yummy snacks—our friends could never guess what’s hiding inside the antique dairy boxes pictured below. And that’s just the way we like it! We picked up one on a trip to Maine earlier this year and used it as a place to store excess beer and soda we didn’t have room for in the fridge. It was an attractive addition to our kitchen and we liked being able to discretely stash some things right where we need them. But one box couldn’t hold everything we wanted, so we’ve been on the hunt for another. We stopped by one of our favorite antique shops, Hodge Podge, on our way to a weekend at the farm in the Catskills. And wouldn’t you know it, they had one sitting right outside the front door! Hodge Podge is full of other goodies too. 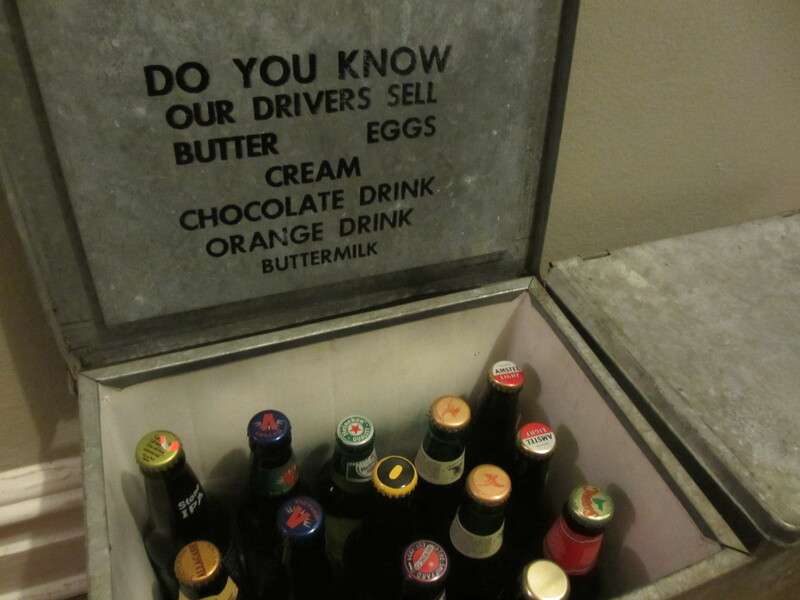 We acquired quite a few of the antique wooden crates we used to make our wall unit there. I’ve also scored an iron desk lamp and several serving pieces, and Brian has added a few new gardening tools to his collection thanks to the always-changing inventory. In addition to a tightly packed store, there is an outdoor area that has everything from old road signs to awesome mid-century modern patio furniture that just needs a little love. Definitely stop by this place if you’re in the area.